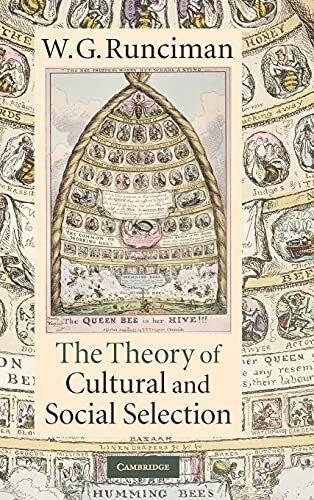 In The Theory of Cultural and Social Selection, W. G. Runciman presents an original and wide-ranging account of the fundamental process by which human cultures and societies come to be of the different kinds that they are. Drawing on and extending recent advances in neo-Darwinian evolutionary theory, Runciman argues that collective human behaviour should be analyzed as the acting-out of information transmitted at the three separate but interacting levels of heritable variation and competitive selection - the biological, the cultural, and the social. The implications which this carries for a reformulation of the traditional agenda of comparative and historical sociology are explored with the help of selected examples, and located within the context of current debates about sociological theory and practice. The Theory of Cultural and Social Selection is a succinct and highly imaginative contribution to one of the great intellectual debates of our times, from one of the world's leading social theorists. W. G. Runciman assesses the fundamental processes by which different human cultures and societies come to be the way they are. This is a succinct and highly imaginative contribution to one of the great intellectual debates of our times, from one of the world's leading social theorists.